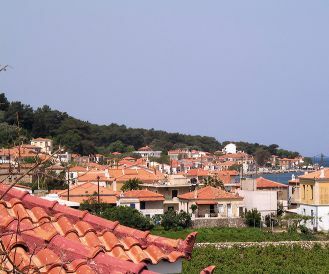 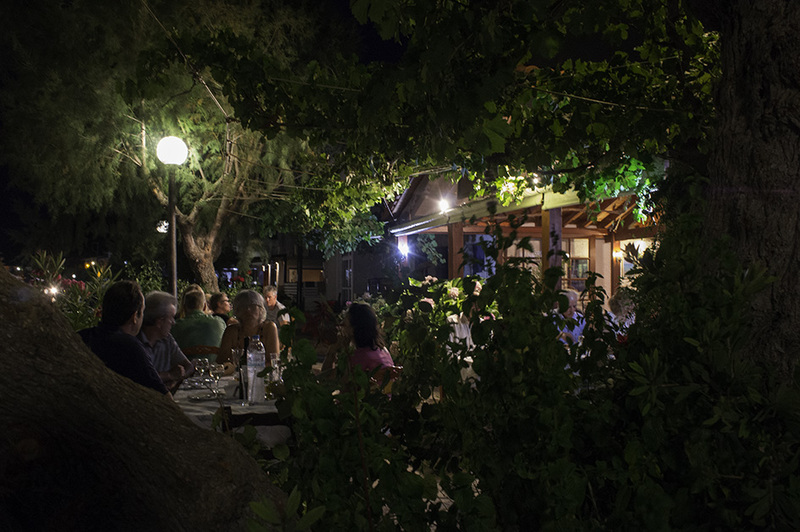 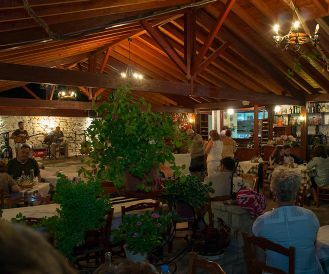 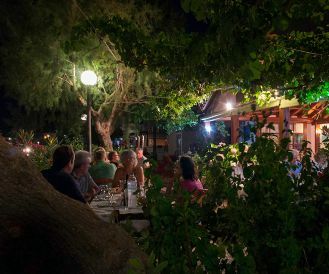 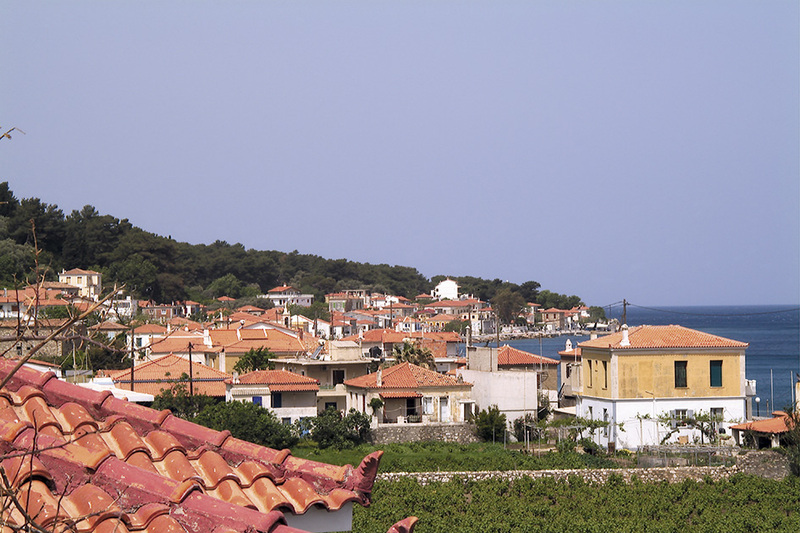 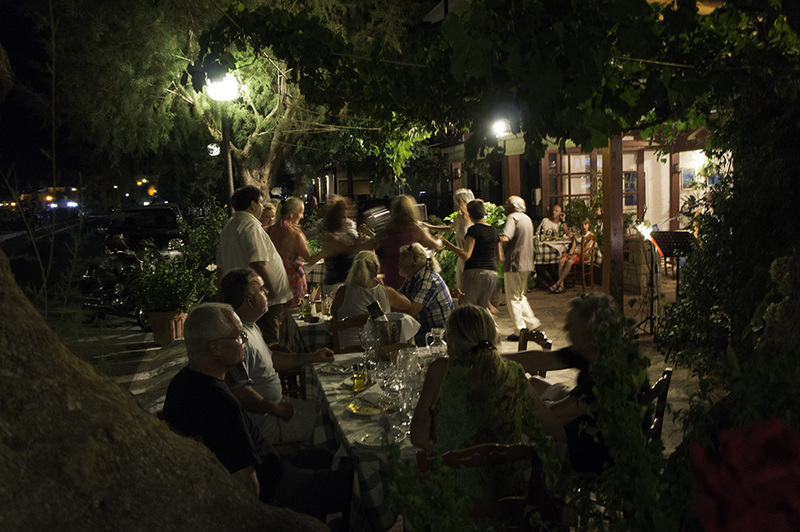 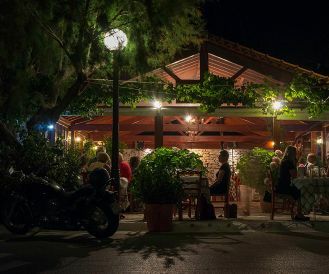 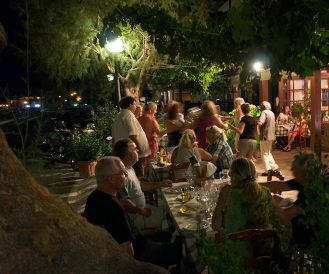 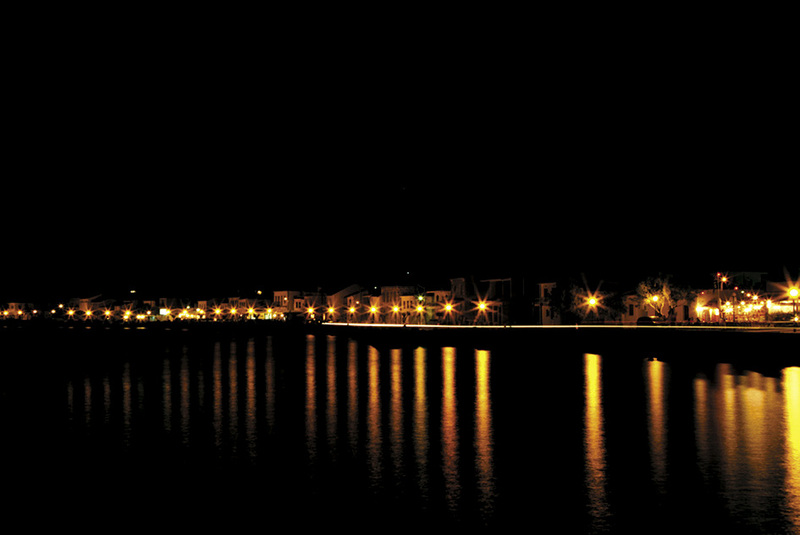 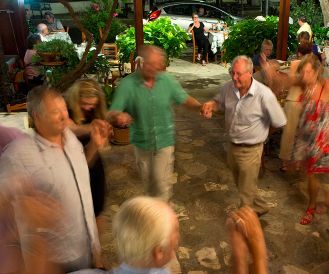 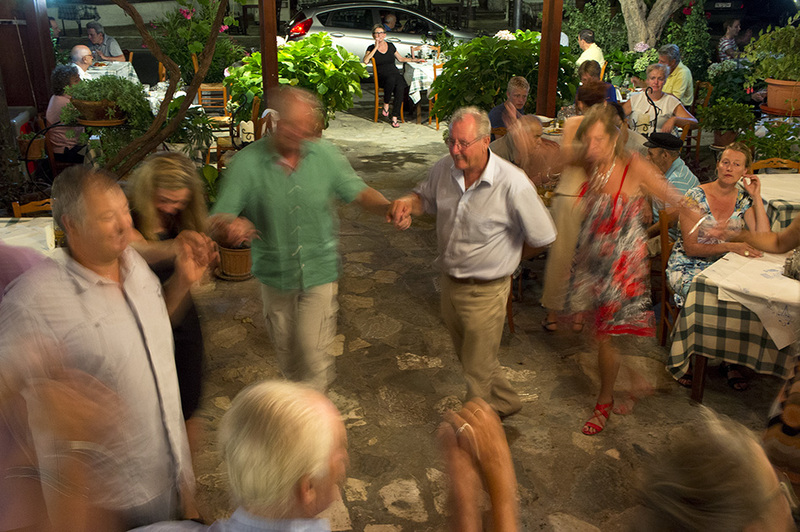 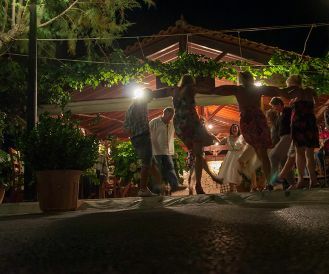 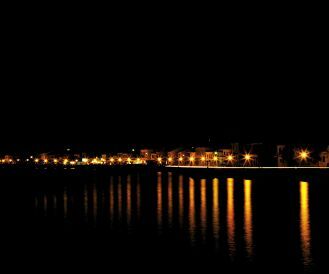 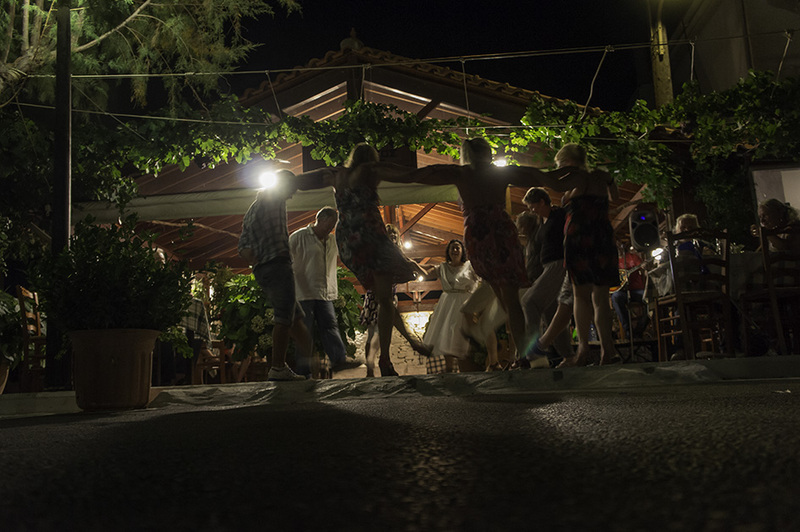 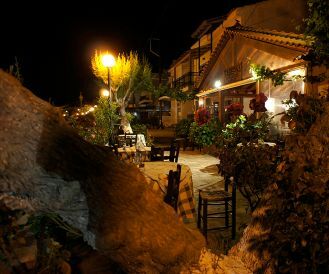 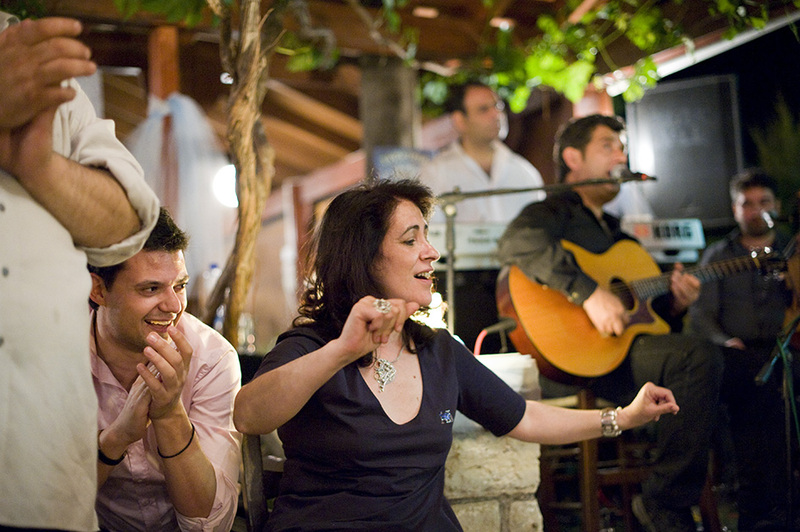 A beautiful, stretched out village with numerous restaurants and taverns which have a rustic Greek atmosphere. 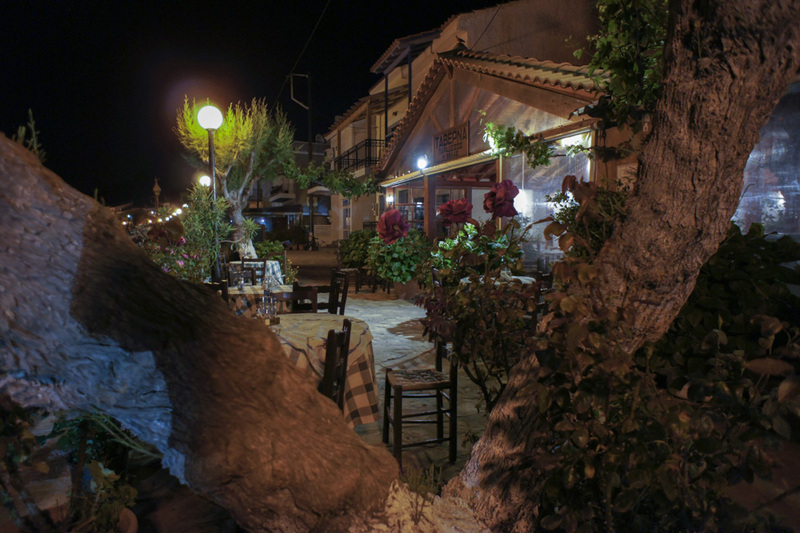 It’s one of the most relaxed areas on Samos. 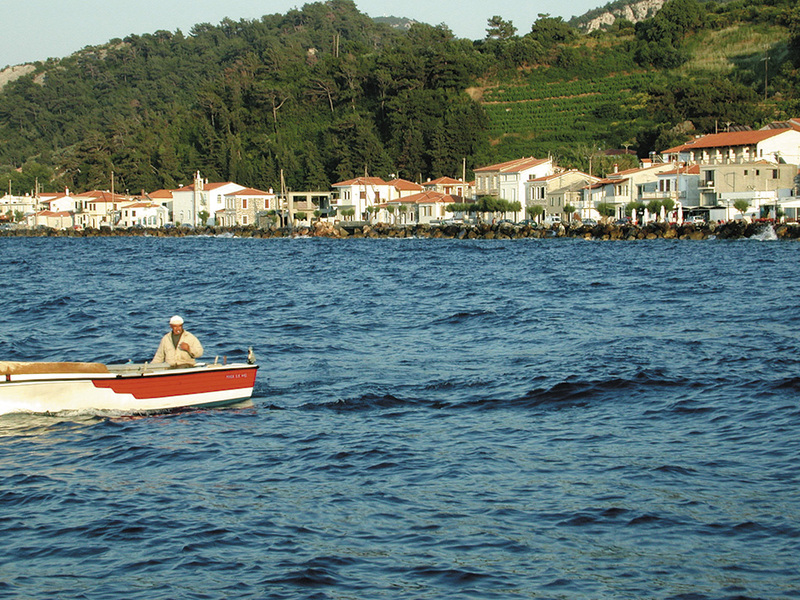 Everything is based on small-scale tourism. 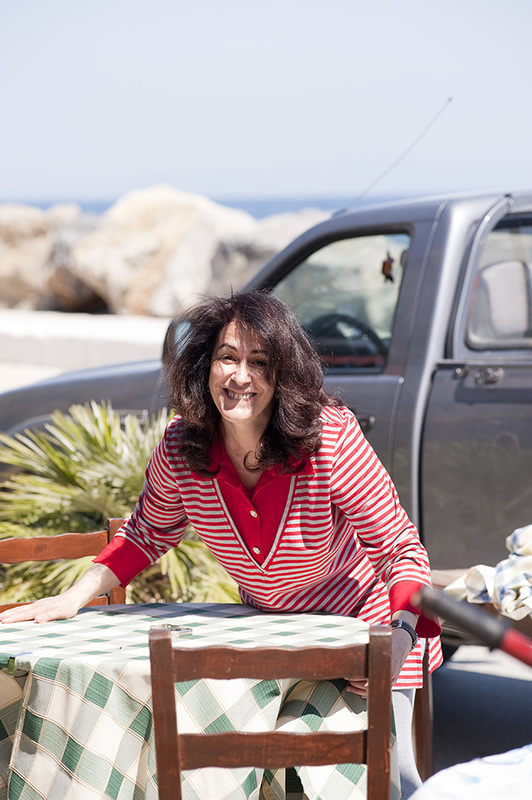 Yet here you will find everything you need. 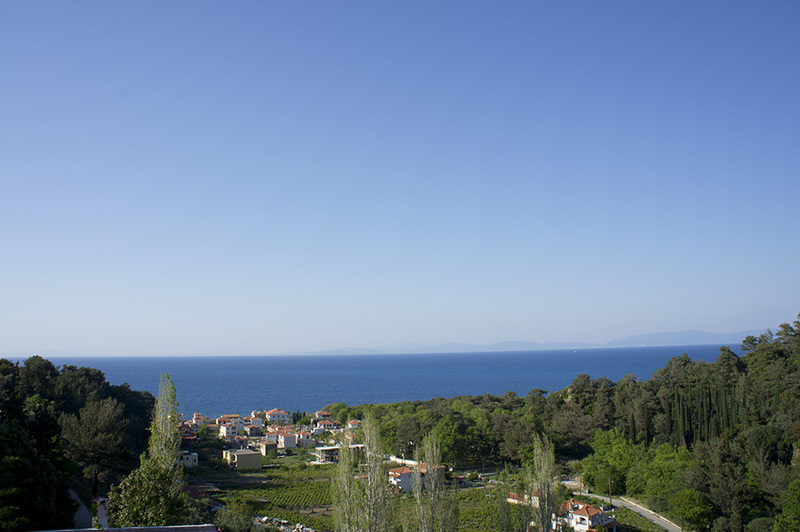 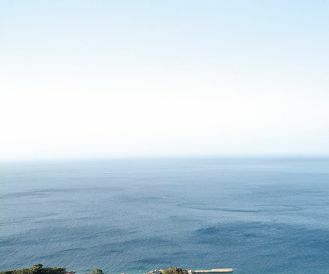 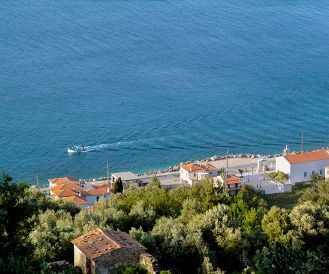 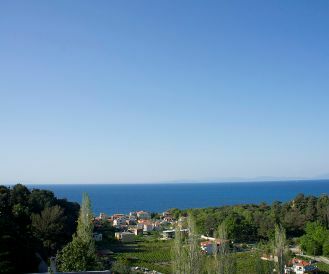 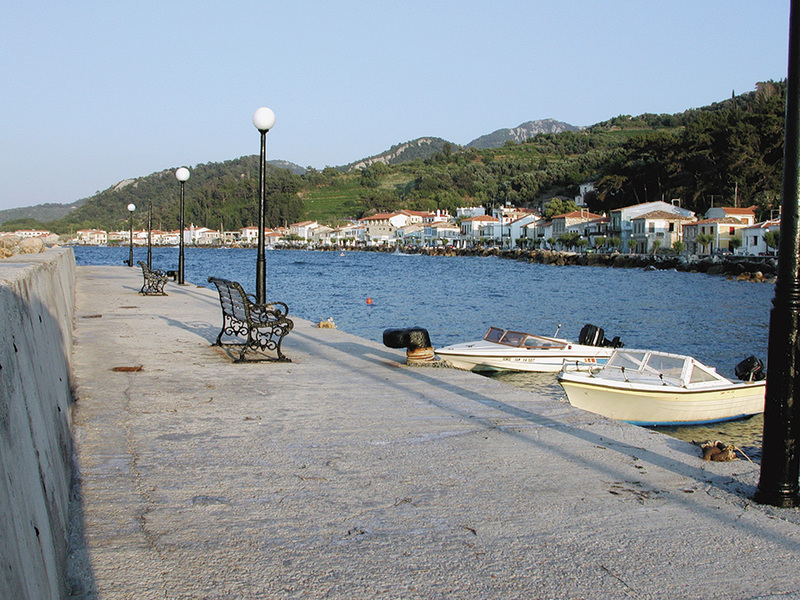 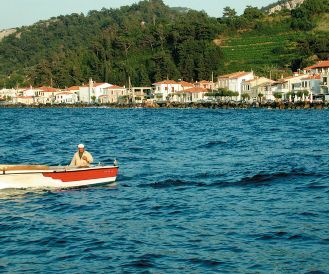 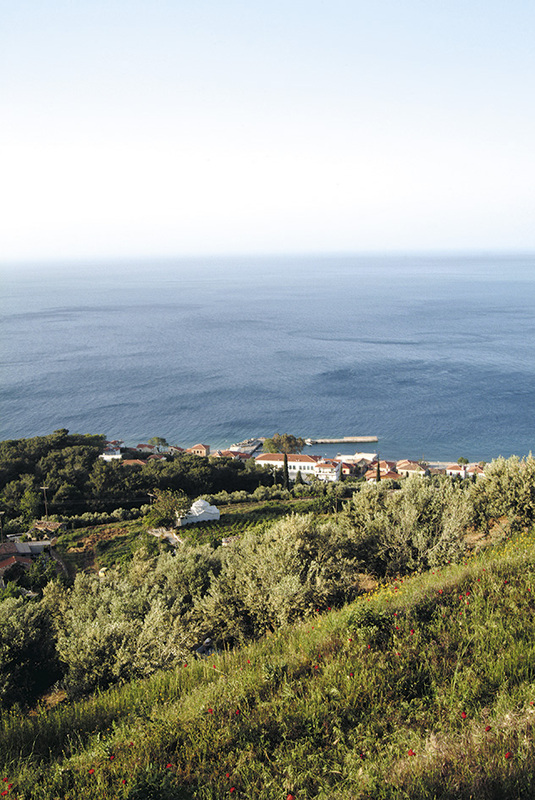 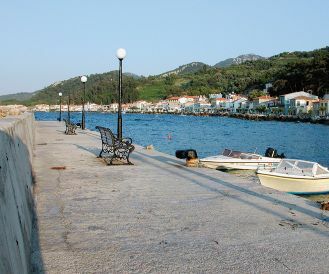 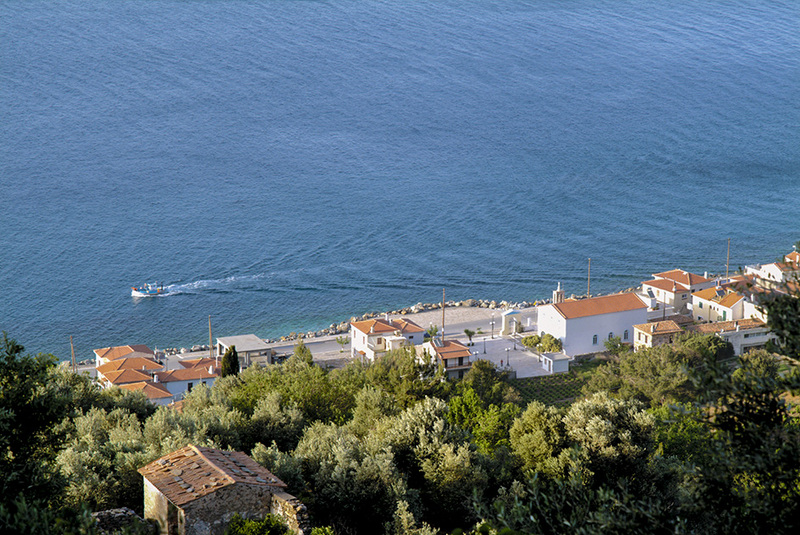 Agios Konstantinos is a perfect starting point for people who enjoy walking. 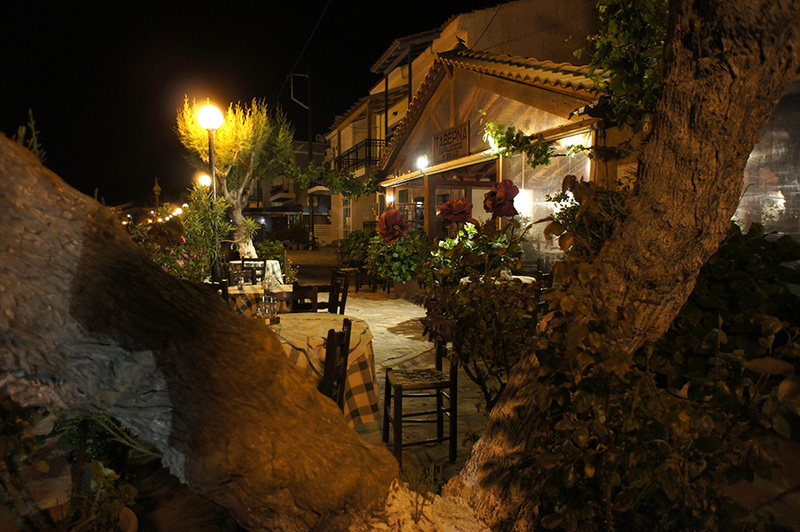 In this friendly, quiet village you will find the Folas family. 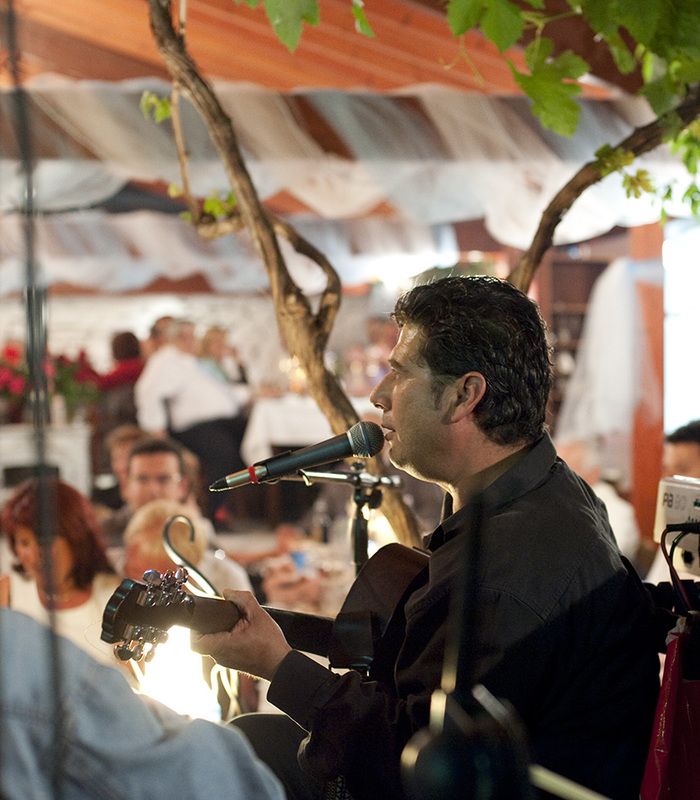 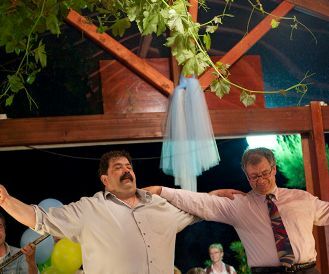 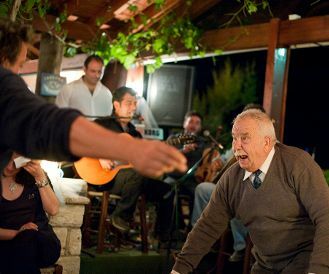 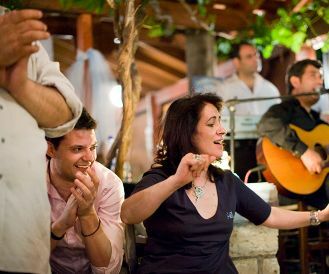 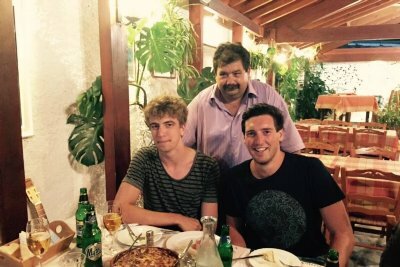 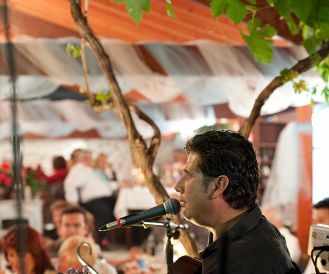 At the heart of the family is Manolis Folas. 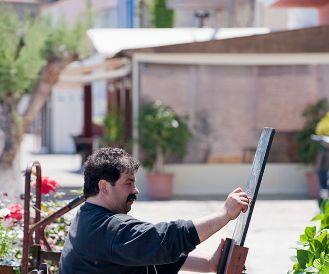 Manolis and his wife Vangelitsa's pride and joy is the "Paradisos" restaurant. 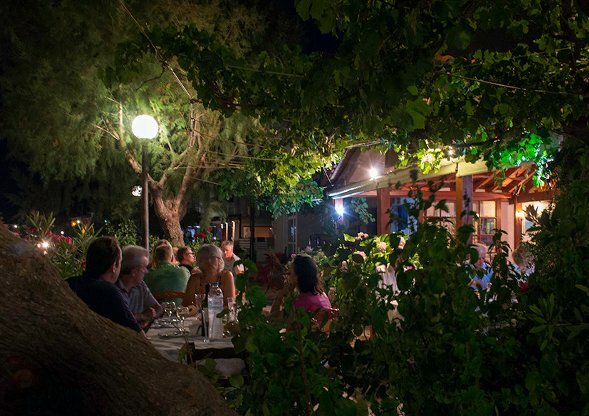 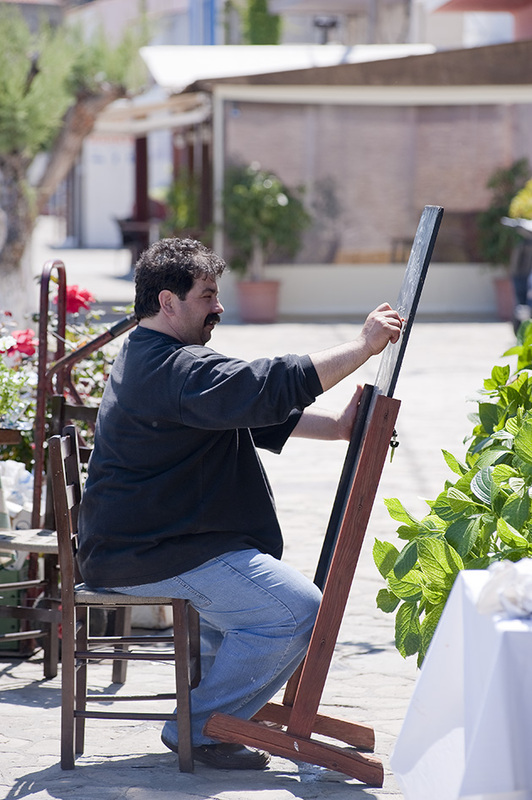 Manolis has his own special way of creating a warm and friendly atmosphere in his restaurant beside the sea. 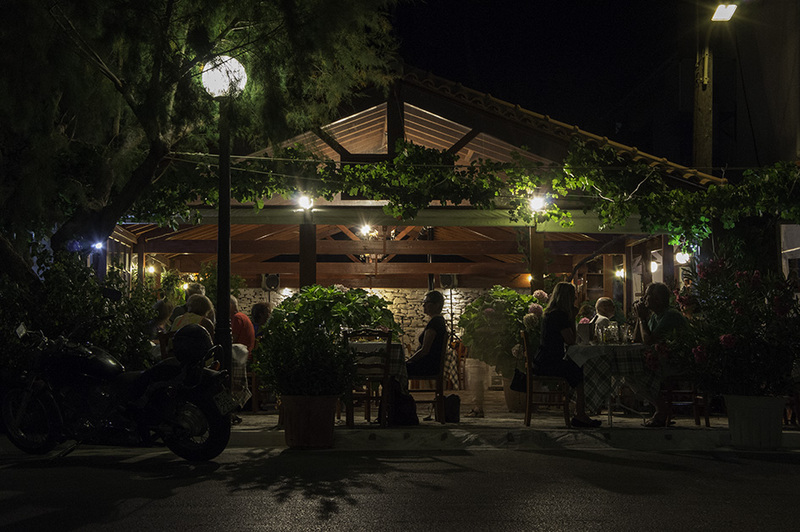 The food is typically Greek and excellent. 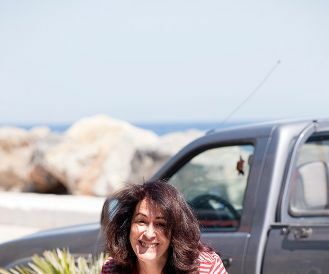 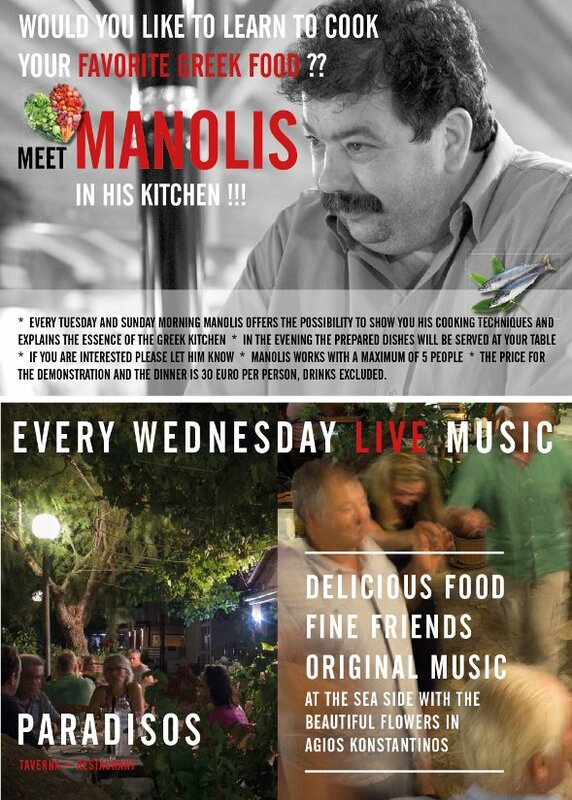 Join Manolis Folas in his Kitchen! 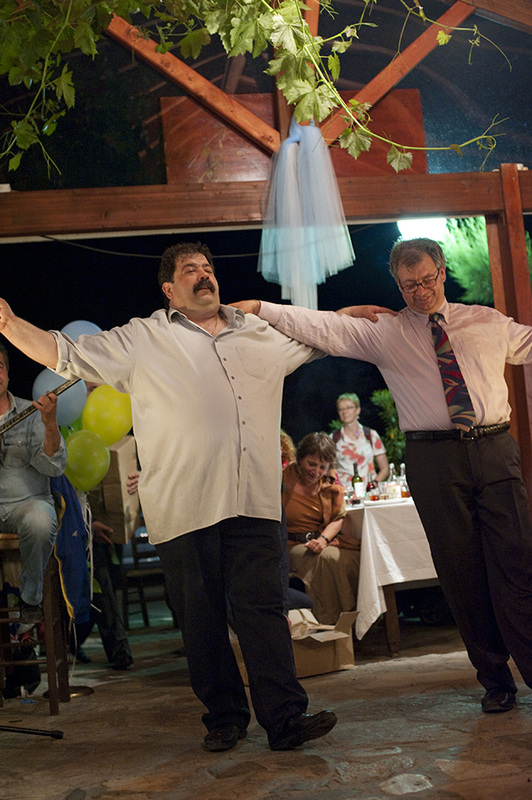 young age. Meanwhile he has been cooking the Greek traditional dishes for about 40 years and also constantly adding his own creative versions of these dishes, in the family restaurant. 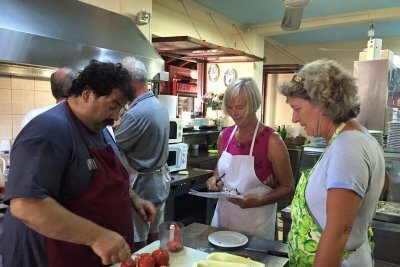 Once a week he opens his kitchen to a small group of interested guests. 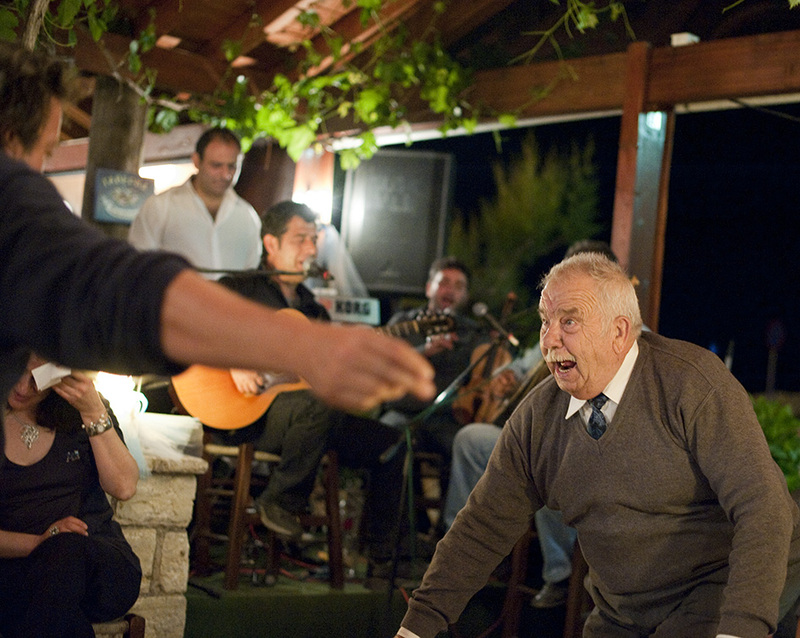 During a workshop he introduces them to the Greek way of cooking. 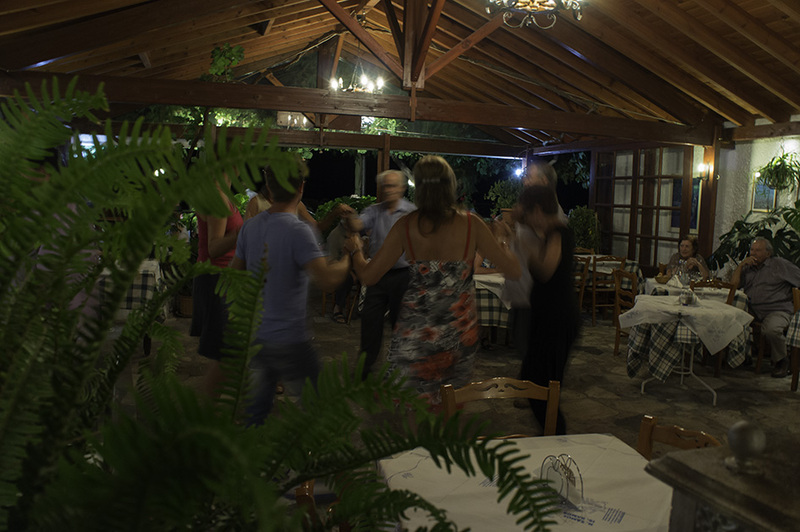 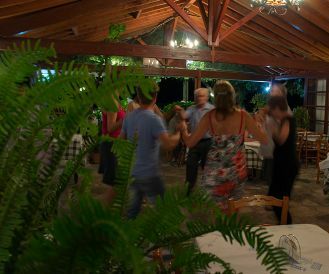 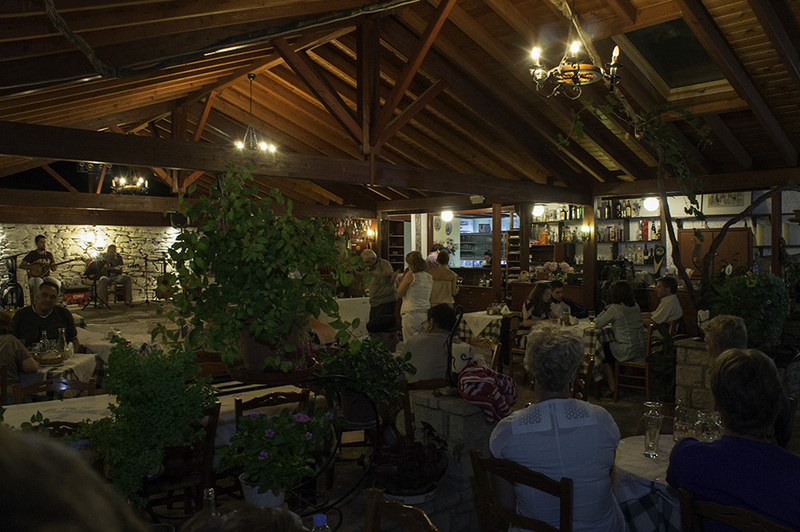 In the evening you can present and eat the dishes that you prepared, with your family and friends in the restaurant.